Following a meeting with his Afghan counterpart Hamid Karzai US President Barack Obama made a statement, many experts called sensational. Obama expressed readiness to hold talks with the Taliban movement. In fact such an unbelievable statement means radical changes in the US policy regarding Afghanistan. Until now the US has been sticking to its “no talks with insurgents” strategy. 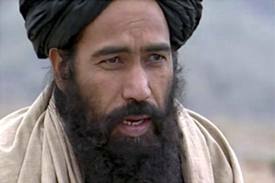 The recognition of Taliban will require explanations from the White House at the minimum. It is likely that not all American tax payers will welcome such a U-turn in the Afghan policy. Washington’s readiness for talks with the Taliban means that large sums of money (around $300 million a day) have been spent in vain and from the very beginning it was possible to use diplomacy and to avoid sacrifices. On September 11, 2001, the US declared its Crusade against the enemies of the free world. Now, after 12 years of constant military action, victory has slept away from American hands. There is no room for being cynical here. But it is necessary to admit the obvious thing: the ability to find a compromise before the fight is taken as wisdom while readiness for a compromise during the fight is taken as defeatism. On the other hand, Obama is trying to save face. When proposing to the Taliban to start a political process he is also insisting that the Taliban should recognize the current Afghan Constitution which includes liberal Western norms and values. But skeptics are calling on us to get real. Hopes that the Taliban will easily accept Western values are useless. If it is so, then Obama’s statement on the legalization of the Taliban is a unilateral concession meaning the failure of US policy in Afghanistan as such. However, most of the experts tend to refrain from such definition as “failure”. We hear from Pavel Zvonarev, Deputy Head of the Institute of the US and Canada. Indeed, what is going on in Afghanistan is a headache for the whole region. The events in Afghanistan will affect the whole Central Asia, the region where geopolitical interests of the main international players are focused. A lot will depend on Russia’s steps. Kremlin is aware of the degree of responsibility and is trying to take the lead in this process. Russia has efficient instruments for it, for example the Collective Security treaty Organization (CSTO). It is necessary to be ready for any development events in Afghanistan after the reduction of foreign military presence there. Perhaps time is right to take real efforts on forming a so-called “security belt” that would make it possible to stop the export of radical Islamism. Experts believe that the US-Russia cooperation in this area could be quite productive. US and Russia alongside with other countries should help Afghan leaders create a stable society, capable of resisting pressure of extremist forces.